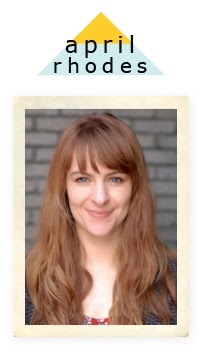 Interviews with Designers Featuring: April Rhodes! We’ve been twiddling our thumbs and have anxiously been waiting for April Rhodes newest collection to arrive and I’m so happy to announce that Wanderer is finally here!!! Wanderer combines world travel and ancient craft into brilliant artful designs. 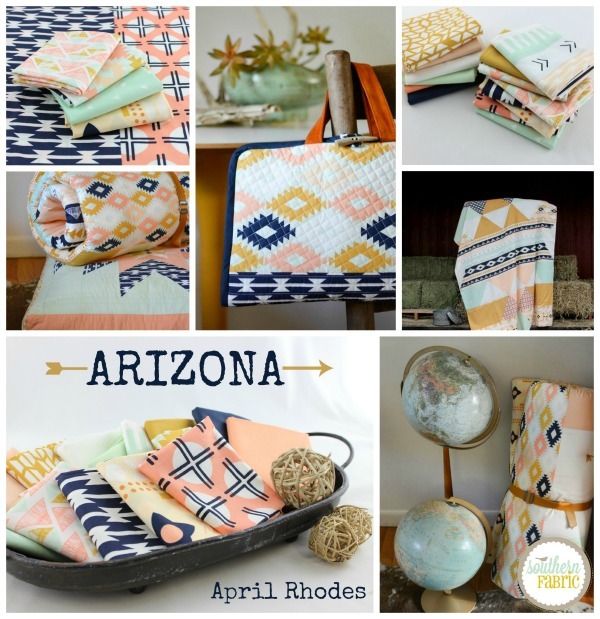 I love April Rhodes’ style and and creativity and was beyond excited to interview her and discover the inspiration behind her creations and her journey as a designer. Take a look at our interview below! A: I have been surrounded by fabric and sewing my entire life. It’s interesting, though, because fabric design wasn’t even on my radar as a potential career until about 7 years ago when my mother and I started picking out fabrics for a quilt she was making. The quilt was for my first daughter and I was very particular–as I’ve always been–about the design and fabrics used. We had so much fun searching the internet for fabrics. We discovered Amy Butler and Purl Soho at this time. The quilt turned out beautifully, and shortly after my daughter was born, my mother came to me with the idea of opening her own fabric shop. She asked if I would help her choose the fabrics she would stock and I JUMPED at the chance. We opened our doors in February 2008 and I became her buyer, blogger, and overall social media girl. The first time we went to Quilt Market in 2009, I remember being absolutely awestruck. I was buzzing with delight the entire show. I could hardly sleep. I was dizzy with inspiration. I wanted to be a one of them: a designer, an exhibitor. It felt completely intangible at the time, but it was definitely the beginning of a new dream. 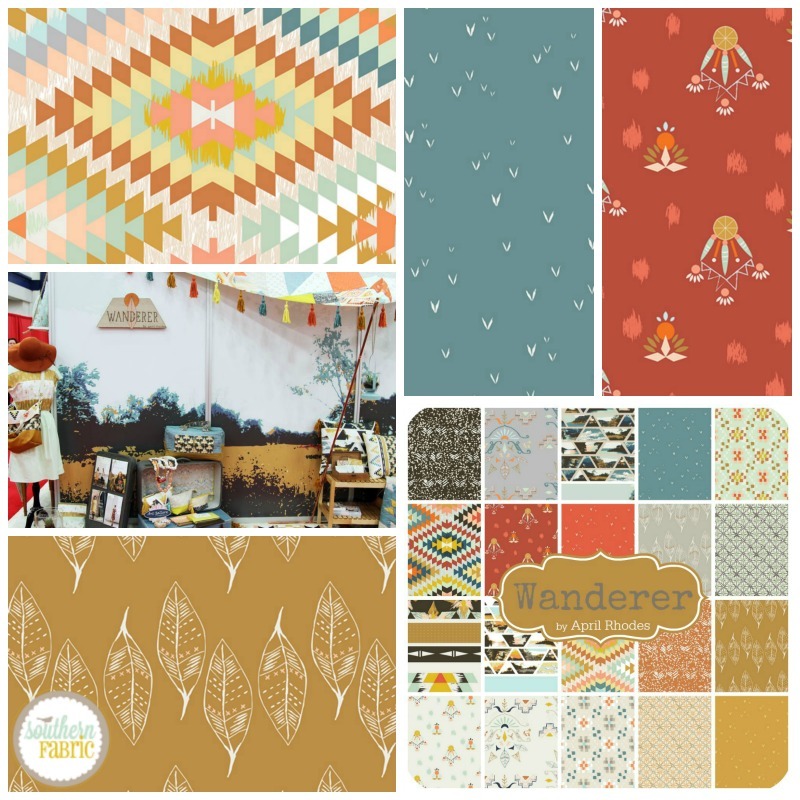 A: I have designed two collections for Art Gallery Fabrics. The first collection, Arizona, was released in May 2014 and the second, Wanderer, releases February 20th. A: I would definitely describe my style as modern bohemian with southwestern influence, but I have a very eclectic style and I plan to show more sides of myself with time. Q: Is there an overarching theme with your different collections? A: I journal a lot. I write about what I want to express and what my interests are right now. I make lists: what types of fabrics, items and art I want to surround myself with. These lists include ideas of what my main prints will be, ideas about possible blenders, how prints might be used. I also collect items, color swatches, and photographs that inspire me. Then I sketch, paint, draw, sew, embroider, weave…whatever I need to do to get my ideas into a physical form. A: My inspiration for Wanderer was that we all dream to escape reality and adventure. Many of the destinations are purely fantasy, but there are those that do exist in far off places and if we keep daring ourselves to dream, they will materialize, or perhaps we will materialize within them. It’s about finding oneself, finding ones place in the world, and collecting happiness. All of the photographs in the Wandering Lands prints are my own, taken over the last 8 years while exploring with my family. Serape Dream is based off some of my very favorite possessions: my vintage Turkish Kilim rugs. The Temple print is a collection of sketches and embroideries I’ve done over the last few years, and my Crocheting print is based off of a blanket my mother gave to me. A: The most rewarding part for me is being part of other artists’ creative process and seeing them create with my own artwork. There is no greater honor!! Never in my wildest dreams could I have imagined what that would be like. It is so very satisfying.